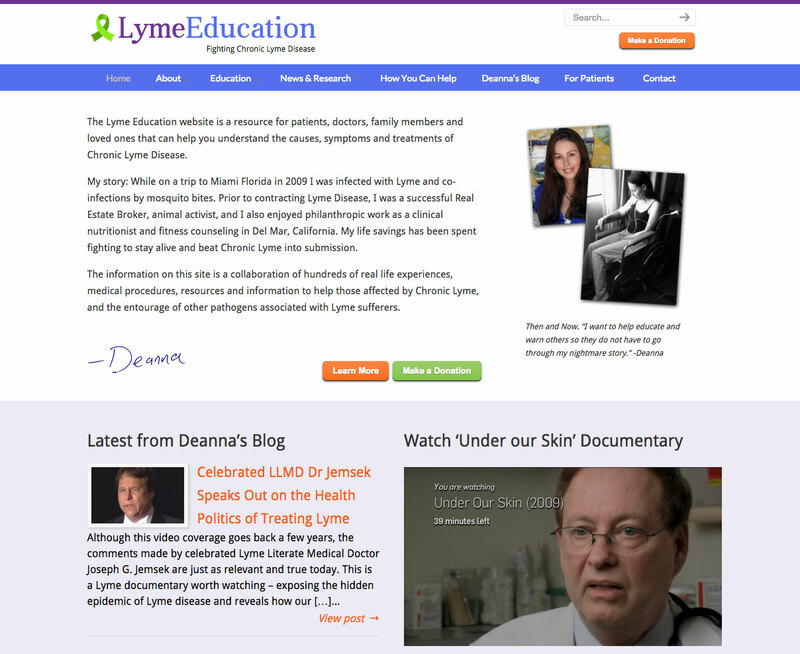 We’re honored to be working with Deanna in her fight of chronic lyme disease. 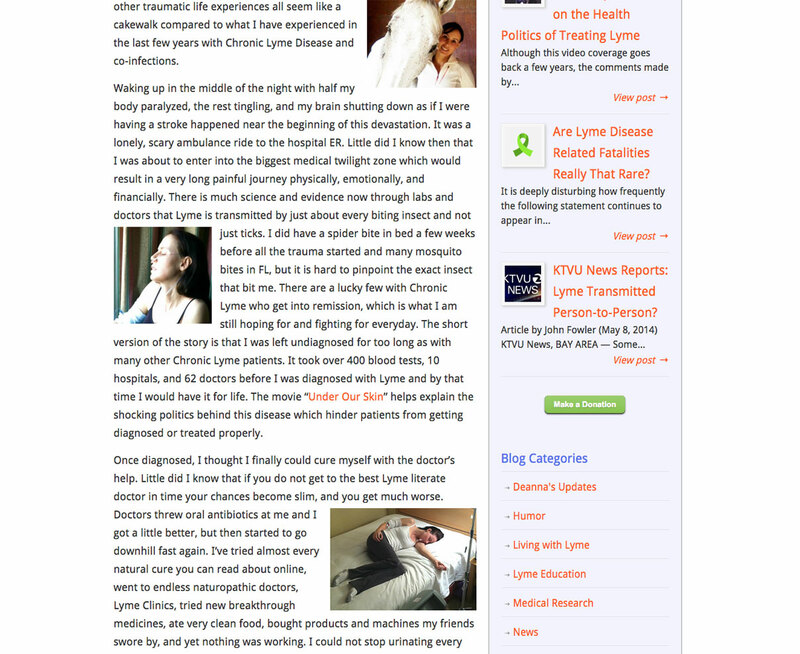 LymeEducation.com is a massive educational resource with a plethora of information and links to resources. We redesigned from the ground up including a new logo and a lot of attention toward organizing the content into a mobile responsive platform that’s easier to navigate than the previous incarnation.